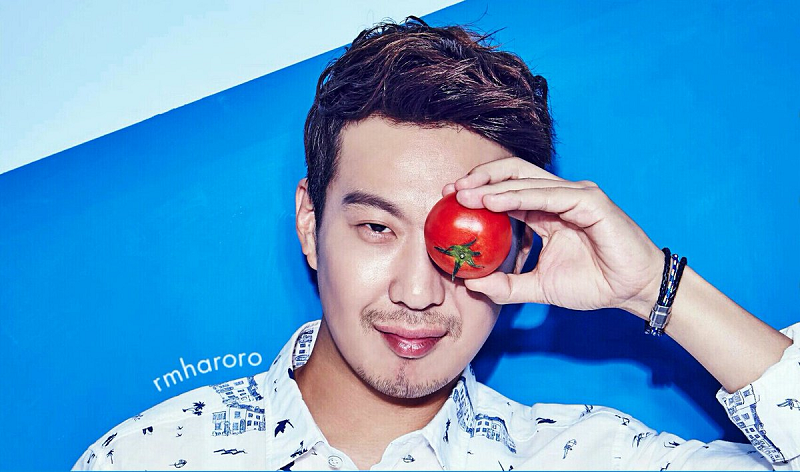 Ha Dong-Hoon was born on August 20, 1979 in Berlin, Germany and moved to Seoul, South Korea when he was an infant. His parents are both Korean, and he has an older sister, Ha Juri, who is a pianist. Ha Dong-Hoon graduated from Daejin University, where he got a Masters degree in Drama and Fine Arts. He later became a trainee for Seoul Records, and debuted as a singer and rapper in 2001 with the boy band Zikiri. Despite excessive promotion, Zikiri failed to get popular, and was quickly disbanded. In 2002, Ha Dong-Hoon became a co-host for the show, What’s Up YO! alongside MC Mong and Jerome To. The three later became known as the “What’s Up Trio” because of their strong friendship on-screen. Ha Dong-Hoon later joined the main cast of the third season of Nonstop, a sitcom about a group of college students and their friends and family. He remained part of the cast up until 2003, which managed to gain him recognition for his acting and comedy skills. Haha later became the producer and presenter for his own radio show with MC Mong, known as HaHa and Mong’s Journey in 2004 for SBS Power FM. After leaving Nonstop, Ha Dong-Hoon spent two years alongside singer, Taw, preparing and recording his debut album entitled, “The Beautiful Rhyme Diary”. The album was released on February 18, 2005 alongside his debut single, Love Song, but failed to chart or garner much popularity. In December 2005, Ha Dong-Hoon became a member of the game show, Infinite Challenge. He also returned as a guest for the sixth and final season of Nonstop in 2006. In 2007, Ha Dong-Hoon released his second single, You’re My Destiny which took a samples from the song Stand By Me by Ben E. King. The single managed to reach number one on the Gaon Chart, and he performed on his Comeback Stage on Music Bank in November. Ha Dong-Hoon later joined the show, Happy Shares Company as a co-host until February 2008.